Recipe: Preheat the oven to 325 degrees. Line a half sheet pan with parchment paper. Combine the sugar and egg whites in the bowl of an electric mixer and beat until glossy peaks form. Add the vanilla and salt and beat to combine. 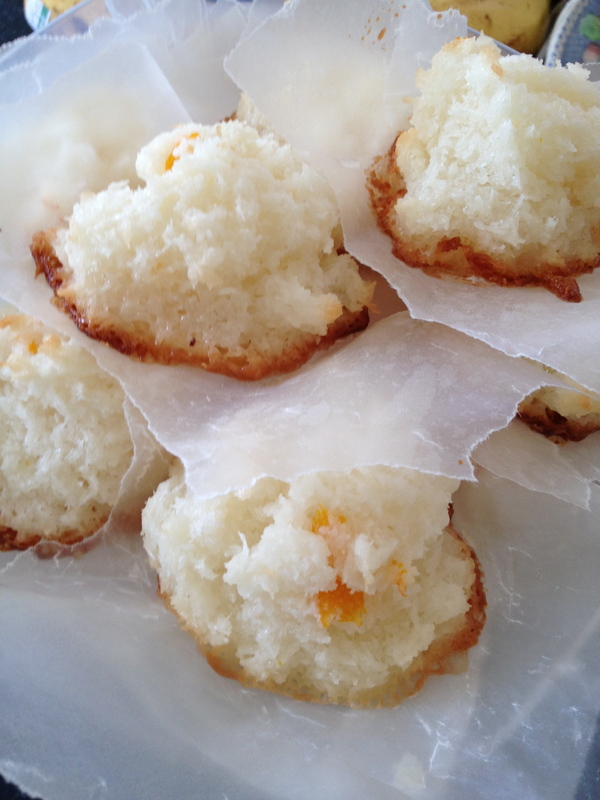 Fold in the orange zest and coconut flakes. Spoon tablespoonfuls onto the prepared baking sheets and bake for about 17 minutes, or until the edges are golden brown. Bulgar with grilled corn, chopped tomatoes, scallions, and red onion. A go-to, make-in-advance dish.